This project is an 18,000 square foot, single story with mezzanine, warehouse and office addition. 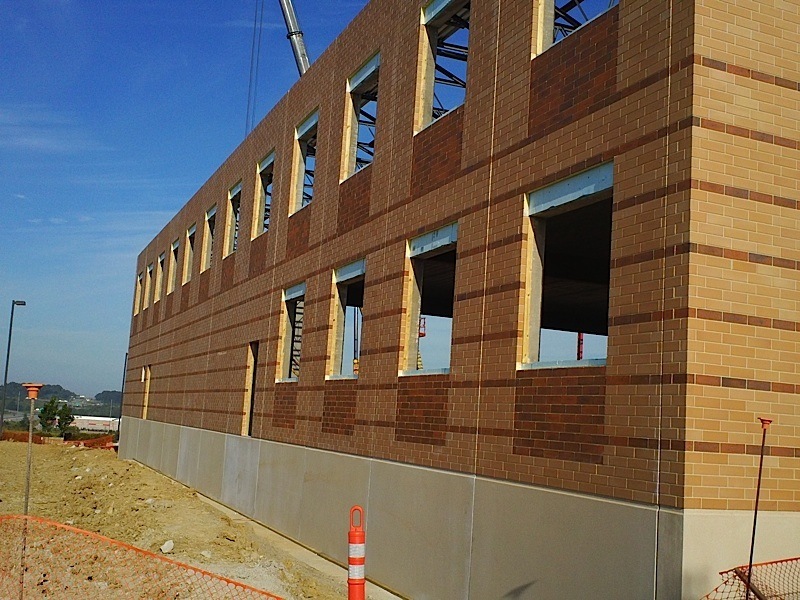 The exterior face of the wall panels used 2 different colors of thin brick – Coppertone Velour and Desert Light Smooth. The specifications called for a utility brick size. The walls were also designed as a continuously insulated system. Insulation within the panels extends to all four edges without any interruptions. 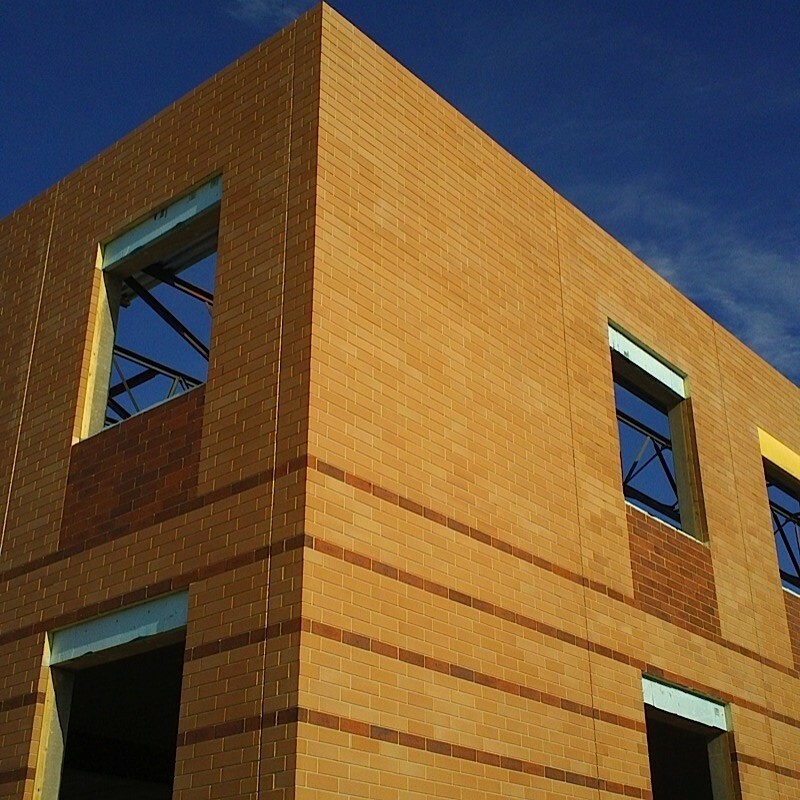 Exterior finish is cast in thin brick.